Tyree Bolden has joined the office of Student Services as an academic advisor. Before coming to UWM, he was a student services professional at UW-Madison where he worked in the College of Engineering and College of Letters and Science in a variety of roles including advising, peer mentoring, graduate advising, retention and recruitment. He views his role in student services as a partner with students in assisting them to manage their academics while empowering them to learn how to be a successful student. His goal is to help all students understand their academic options in order for them to make informed decisions. It is important to him that students experience a welcoming environment and that they are active participants in their own education. 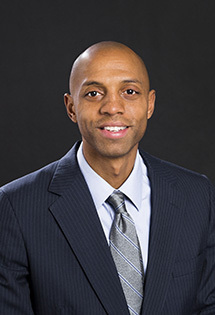 Bolden received his bachelor’s degree in Communication Studies from the University of Minnesota-Twin Cities and also went on to receive a master’s degree in Kinesiology and Human Development from the University of Minnesota-Twin Cities. He enjoys spending time with his family, participating in and watching a variety of sports, especially basketball.